I seem to becoming a little more brave in the kitchen lately. If you have been following along on IG you know that I made homemade sugar cookies from scratch in February and you know what? They weren’t awful! They were actually delicious. I was going to attempt to learn how to do royal icing but didn’t get to it. You know, the really fancy cookies that are beautifully iced? The ones that are so perfect they look like they just came out of a cookie factory and made by machines? They are iced with Royal Icing. I may or may not admit to you that I was little intimidated to attempt it and just “didn’t get around to it”. This weekend I attempted my second batch ever. I have always used cut and bake cookie dough. I was just happy that I got the warm cookies on the counter for the kids when they got home from school. Cut and bake cookies always lacked amazing flavor and I am sure it has something to do with the fact that it came out of a tube and was meant to have a long-lasting shelf life. Growing up my mom wasn’t a baker and, in turn, I haven’t been much of one either….until now. I follow a buddy on IG that inspired me to try. She is always sharing everything “home” and loves to be in the kitchen. 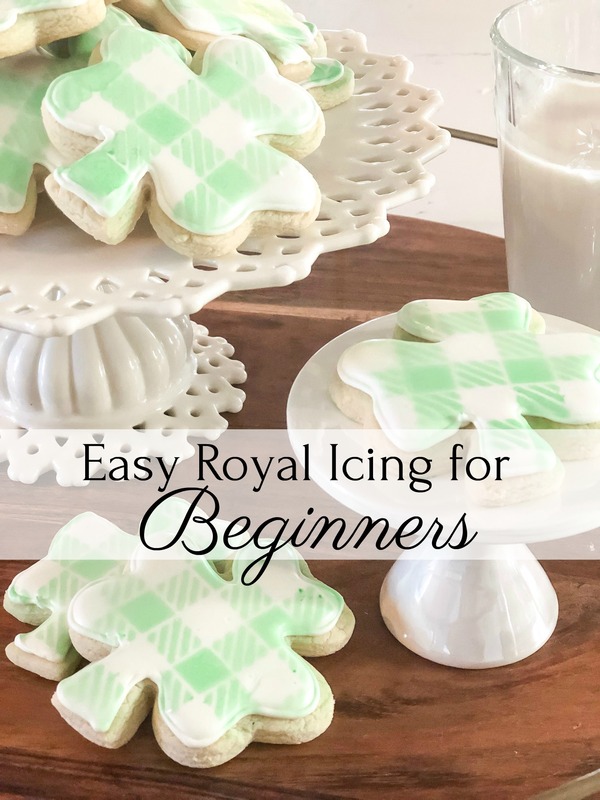 She has always wanted to learn how to make amazing cookies with royal icing and decided to share her journey of learning with all of us. I was inspired to start my own journey and follow along. She has started a “baking club” on IG and I am kind of loving the idea. The idea is that we all bake a specific cookie shape once a month, the theme being whatever holiday is around that time, and then ice them with royal icing. She chooses a theme for the month, she puts up a few ideas from Pinterest on her IG stories for the cookie design, we vote on them and then we all bake the same cookie and ice them. By using the hashtag #bakingwithjaclynjames we all share our cookie accomplishments. There are some really talented people out there! Maybe knowing that there were other people who wanted to learn just like me made it a little easier to dive in. Plus, I love a good challenge! And who doesn’t want to be a better version of themselves today than they were yesterday? That was on Friday. You want to let your cookies sit for a day before you ice them. This minimizes the amount of oil in the cookie that will affect your icing. Saturday was the big day to try my hand at royal icing. I got the icing recipe from Sweet Sugarbelle. I followed Jaclyn’s tips (my Ig buddy) that she discovered when she was baking and I dug in. I have never done royal icing and was a little intimidated so I decided I would just jump in. I guess I am just like that. I dive in! I figured out how to outline and float the icing and create the right consistencies for both and away I went! Once they were all iced, I let them set for about an hour while I cleaned up. Then I took this stencil and this color mist spray and created the most delightful pattern on the cookies. They turned out just darling! I was so excited to see how they turned out! I shared them with my family and they loved them. The kid’s friends thought they were so cute! Even my son and husband were impressed…..and that is a hard thing to do! I hope that this has inspired you to try something that you never thought you could do! I never thought I would be doing this. I have always been challenged by baking so this was a huge accomplishment for me. I am so excited to be in the group #bakingwithjaclynjames and see what other amazing creations are being made!! I hope that you decide to join us, too. It is just once a month and is a great little escape to let yourself be creative. I can’t wait to see what you create! Have a great week, friends!